Anatomicals is one of those brands that I just want to buy everything from because of the amazing packaging. Literally everything I've bought from their brand before these two products I got because the packaging had a seriously hilarious slogan on it. However I have been wanting to try a headache and sleep balm for awhile now and so I decided to order these two! Cruisin' For A Snoozin Sleep Balm Obviously when you think of scents to help you sleep and relax Lavender is one of the scents you'll automatically think of and that's exactly what this smells of. It is instructed that you rub this balm into your temples and pulse points when you get into bed to help you drift into sleep. Now I will admit I'm slightly on the defense side when it comes to this product. I have been using it for a few weeks now and while the scent certainly helps you to relax I'm not sure if it makes me fall asleep or if I'm falling asleep myself just from tiredness. However I do really like the scent at night time and it definitely makes you feel relaxed so I will continue using it even if it's just to help me relax. Oi! You Throbhead Headache Relief Balm This however has blown me away! I suffer alot from headaches and honestly it's probably from being on my phone/laptop too much but moving on from that I find this actually works. Now I will admit the scent isn't the nicest but when you apply it you can't actually smell it so you don't have to worry about that. The only way I can describe this is like a menthol effect in the way that if your nose is blocked and you eat an Airwaves chewing gum the way it just helps you breathe, well this is what the balm does but only to your forehead. Again you apply it to your temples and pulse points and it just tingles a little and after a few minutes your headache is gone. Now I will admit it won't work on them pounding headaches that won't go without help from some Paracetamol but for the little niggly ones this is perfect! 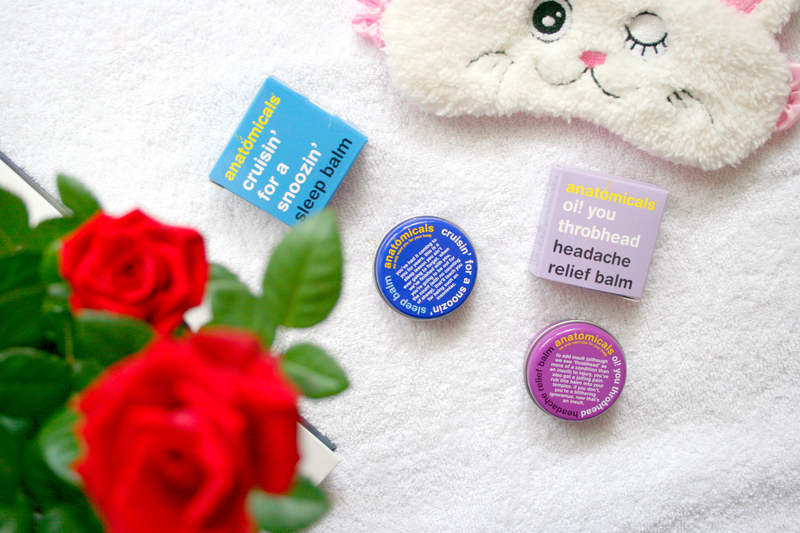 Have you ever tried a Sleep or Headache balm? The headache balm sounds interesting! I need to try these out! I suffer from headache a lot, this might be perfect! I've never heard of these balms baefore though! Thanks for telling!